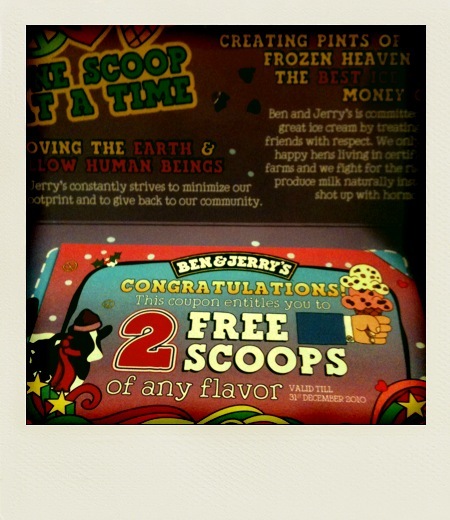 I can only eat so much ice-cream in a month, so I'll be giving away this Ben & Jerry's voucher for 2 Free Scoops of any flavor! All you have to do is click this link and tell me what your favorite flavor of ice-cream is! Winner will be randomly selected from the comments. You have 5 days, starting... now!